With twenty-five years of experience with non-stick cookware, Circulon know just how to make cooking fast, easy healthy and delicious. Non-stick surfaces mean oils aren’t required to cook food, lowering the fat content and making for an easy clean-up once you’re done. Circulon also know how to make cookware last. 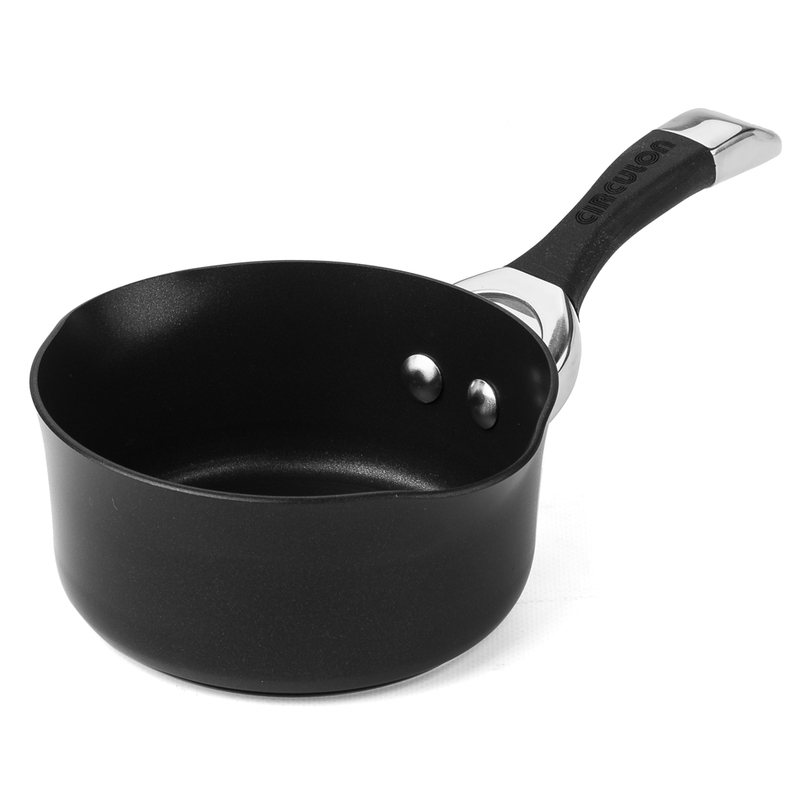 When their first hard anodised cookware launched in 1985, Circulon set the bar high with amazing heat distribution properties and exceptional durability. Nowadays, Circulon ensures a non-stick surface that will last for years. Crafted for a lifetime of hassle-free cooking, the elegant Circulon Symmetry collection combines ultra-touch construction with the exceptional performance of Circulon’s unique non-stick system of circles. Coated with their superior TOTAL Non-Stick System, each piece in the range is metal-utensil safe and resist scratching, staining and chipping for an easy release of food without additional fats or oils. For the ultimate non-stick cooking experience, choose Circulon’s Symmetry collection. Crafted from hard anodised stainless steel. Free from lead, cadmium and PFOA’s. Coated with the TOTAL Non-Stick System – the high-low circular grooves significantly reduce abrasion and as a result create an exceptional non-stick surface. Durable hard anodised surface allows for an even heat distribution. Riveted cast stainless steel handle with a comfortable silicone grip. Energy friendly – best used with low to medium heat. Use with wooden or nylon cooking utensils to extend the life of your cookware. Circulon Symmetry cookware features stainless steel handles, which may become very hot during use – especially when used in the oven. Make sure you use an oven mitt when handling hot cookware.